Florida, the Sunshine State, boasts more coastline than any of the United States except Alaska, more than 1300 miles of it. 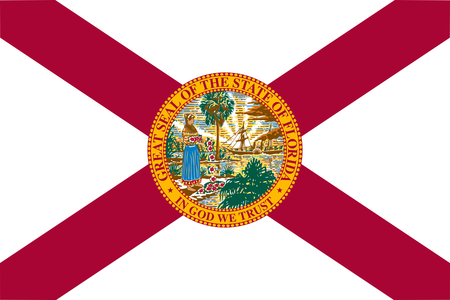 Florida is also the third most populous state, with around 20 million residents, a number exceeded only by California and Texas. 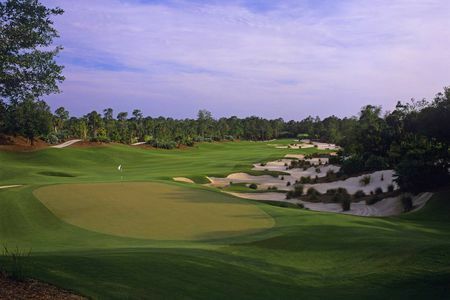 Golf in Florida is legendary; today there are more than 1250 courses from the Panhandle to the Keyes, exceeding the number in any other state, and among these are some of the best the US has to offer. And with the excellent weather making play possible all year around, it is no wonder that this is one of the top golf destinations on earth. But while abundant sun and low-lying land feature wherever you go, the various parts of this large state offer a variety of distinct types of play. 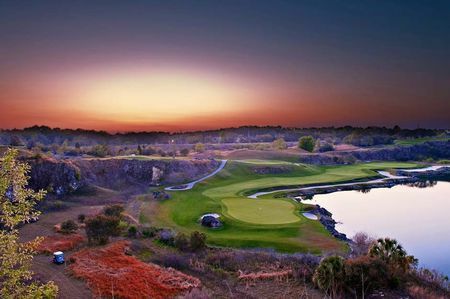 A golf tour of Florida might begin at the center of the vibrant Northeast Florida scene in St. Augustine, home to the World Golf Hall of Fame and the PLAYERS' unique 17th hole at TPC Sawgrass' Stadium Course, with The PGA Tour Headquarters nearby in Ponte Vedra. 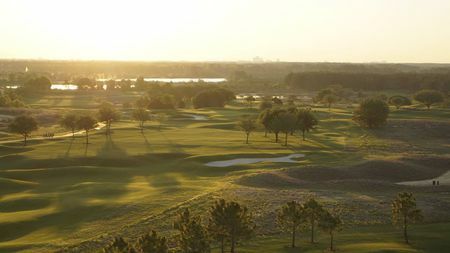 Moving south, Orlando is best known as the home of Disney World, but the city and surrounding area are almost as renowned for an abundance of superb courses that range from fully public to incredibly exclusive and everything in between. Among the golf landmarks here is Bay Hill, designed by Arnold Palmer and his residence in winter, which became home to the PGA Tour in 1979. 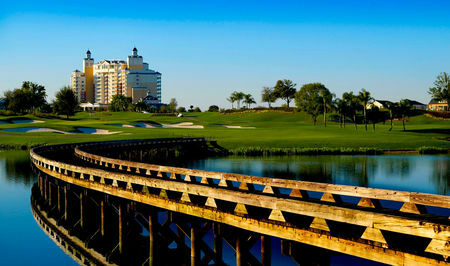 Equally iconic are the home of the PGA Tour's Q-School Orange County National, Rees Jones's layout for Waldorf Astoria, and Greg Norman's for Champions Gate, which hosts the yearly Father and Son Tournament. Still further south, Jupiter Island is now a prime destination, and not coincidentally the winter base for numerous PGA Tour pros who come for the climate, golf facilities and absence of a personal income tax. Celebrities like Rory McIlroy and Tiger Woods are usually to be found at such private establishments as the Bears' Club, Medalist Golf Club or Seminole Golf Club, all of which crop up on lists of America's top courses. 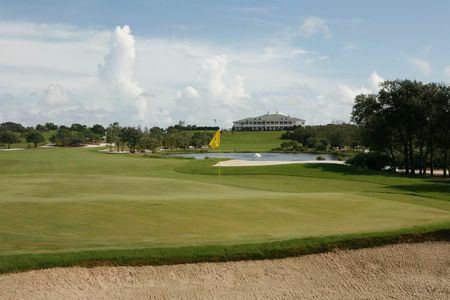 But there are also superb public championship courses, including Blue Monster at Doral, renovated by Gil Hanse to serve as home to the WGC Cadillac Championship, the PGA National Resort and Spa in West Palm Beach and Crandon Golf at Key Biscayne. 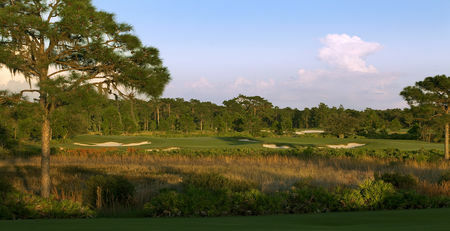 Florida's Gulf Coast is almost equally well endowed with opportunities for golf. 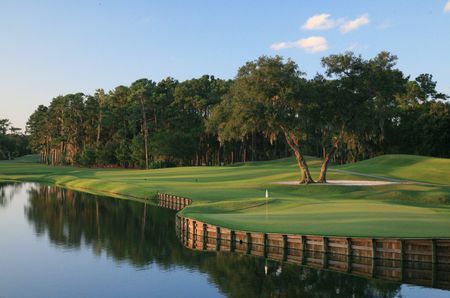 A Tour Event is held in the Tampa area at Innisbrook Resort's Copperhead Course, while the pair of courses at Streamstrong Resort known as the Blue and the Red have been named among the best US public facilities. And there is so much more, from Jacksonville to Miami to Naples. 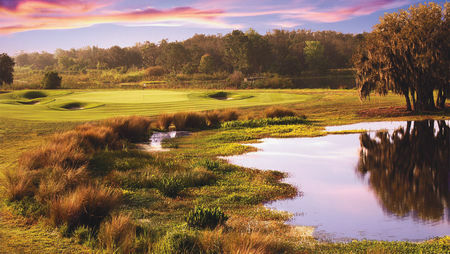 Any time of year, the Sunshine State lives up to the hype when it comes to golf.